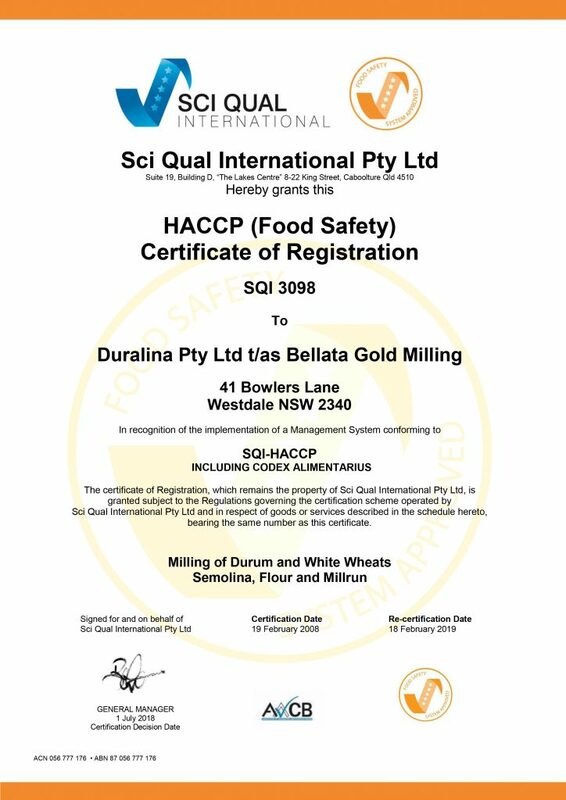 We maintain a direct relationship with all our farmers with the majority of our wheat being sourced directly from our family farm based at Bellata, Northern NSW. This area is renowned worldwide for producing high quality durum grain. Each load of grain delivered to our silos is individually tested. 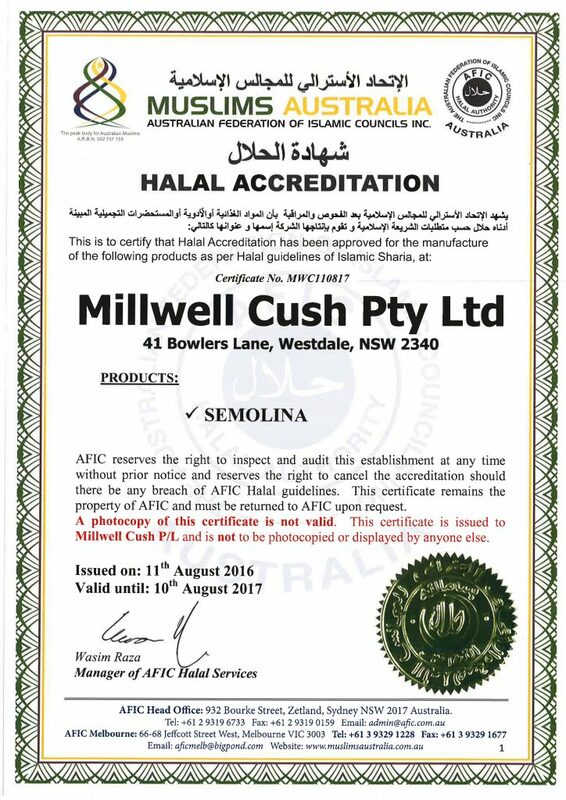 Our milling facility meets the stringent HACCP food management system and is HALAL accredited.